Regardless how old or new you are to the sugar bowl and first sugar daddy meet ups, first dates are always hard and confusing if you’re not prepared. Yes, there are ways to prepare yourself for a first sugar date and Sugar Daddy or Sugar Baby should know them. The key is to always remember that the Sugar Baby sitting next you is probably feeling the nerves even more than you are. Everybody wants to create a great first impression and that puts us under pressure primarily. A Sugar Daddy has to be on the top of his game on a first date because this will decide whether or not both the Sugar Baby and Sugar Daddy have enough in common to continue meeting. Whatever you do on a first date points your Sugar Baby into the direction of whether or not to opt for you out of the hundreds of Sugar Daddies out there. Acting in a certain way lets her know you’re the real deal. 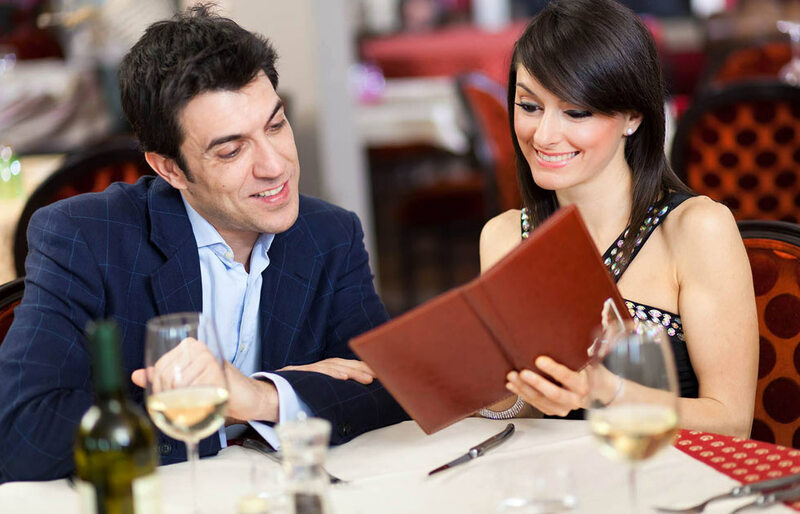 Here are tips to follow when meeting a Sugar Baby on a first date. The place you’re meeting at matters! Pick a place that speaks for your and portrays you as a wealthy person. Before you say something for yourself let the location you’re meeting at speak for you. As a successful businessman, you may well have been to enough business parties to know some of the classiest venues in your area. Avoid taking her to restaurants that are too common or spread all over the country. Take her somewhere that feels unique and classy. Anything routine will make you look routine too. It goes without saying that you should always treat her with respect. Yes, she has a desire to take benefit of your position in the society and wants you to spoil her but remember you’re also going to want to be with her because you too are looking for a mutually beneficial relationship and the first sugar daddy meet date is most important in a successful relationship going forward. Tell her she could order whatever she’d like and she does order what she likes you should seem to care about whether or not she likes the food. On a first date, you’re giving your sugar partner a peek into what their life would be if they were to choose you. Make sure you’re on your best behavior on this day and of course all the others to follow. Act like a gentleman and treat her like a lady. She’s not with some young college boy who would argue with her and keep and not treat her well because of petty issues. Again, how you look on your first sugar daddy meet date will speak for you way before you speak for yourself. Show in something that speaks volumes about your wealth and maturity but don’t get overdressed. By dressing well we mean showing her that you are able to take care of yourself because of all the means you possess to do so. She won’t be looking for good looks as much as she’d be looking for if you look like the wealthy person you described yourself as being in your online dating profile. Men have to lead from the front in sugar relationships. A Sugar Baby would never initiate the topic of terms in your arrangement and how this arrangement would benefit you both. It is the Sugar Daddy who has to direct the conversation towards this. This not only helps clear out any expectations the other might have you wouldn’t be able to fulfill but also give her an idea about your potential as a Sugar Daddy. Remember to not offer anything that sounds too good to be true. Always discuss the arrangement with the perspective of it being a mutually beneficial relationship. The balance of benefits from both sides just makes it feel more real and less fake. Also, keep in mind that the arrangement talk has to happen on the first date. It is you who will decide how much you want to discuss on this topic on the first meet up but it should be there because without this you’re not going to become her Sugar Daddy anytime soon. Listen. Communicate. Ask. Women love to talk, especially with those whom they trust or those who provide for them. If she’s suddenly started talking a lot that means she’s opening up to you and you should respect that. You should be patient with her listen to what she has to say and communicate back in a polite manner. Agreeing to whatever she says will also seem as if you aren’t genuinely interested so ask questions when you feel the need to. A bird’s eye view of all these factors will not only tell you how important it is to prepare for the first date but also how crucial first dates are. They are like an audition for the dates to come which acting like the part you plan to play in your sugar relationship helps envision them you as their perfect partner.